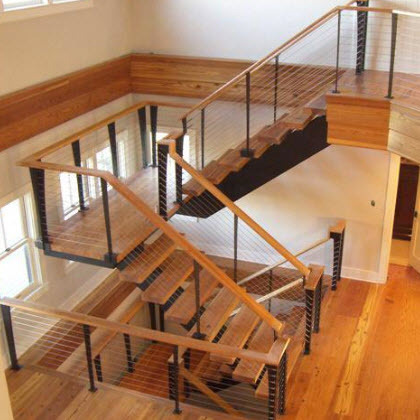 Material and Finish: "Raven Black" powder-coated steel railing posts with wood top rail. 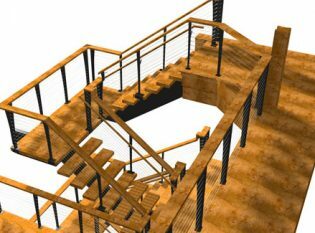 Description: Custom cable railing design with posts that have an upside-down taper. 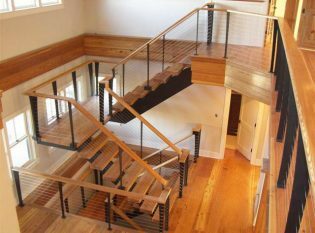 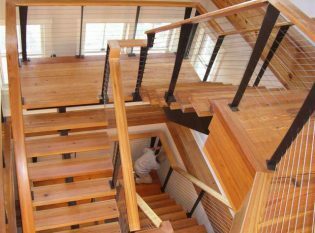 For our client in Nantucket, Massachusetts we made a completely custom cable railing system for their U-shaped staircase that climbs three stories. The steel railing posts have an upside-down taper meaning they grow wider toward the top. 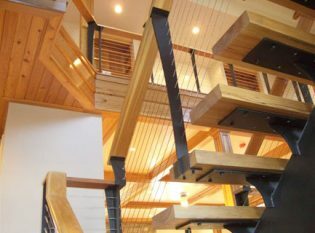 Each post connects to the stair’s heavy wood treads with a C-style flange. To match the treads, the railing system has a flat wood top rail.